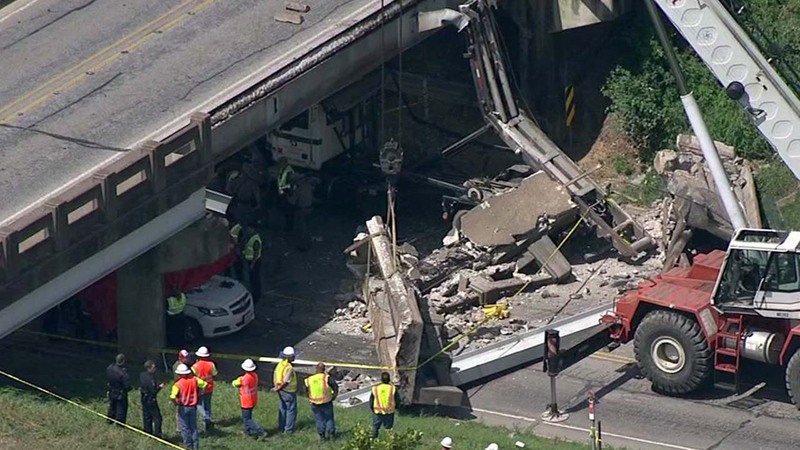 SEALY, TX (KTRK) -- The bridge that collapsed in Sealy killing a young girl will be demolished starting today. 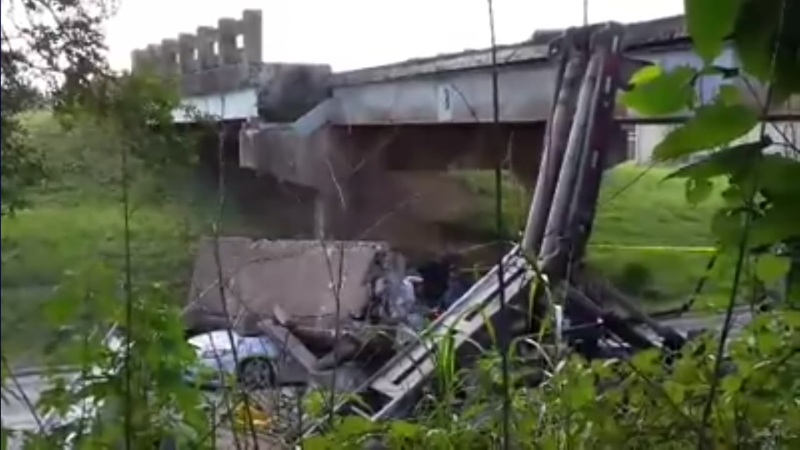 The Highway 90 bridge was struck by a large trash delivery truck last week, sending huge chunks of concrete onto the highway and smashing into an oncoming car. Now what is left of the bridge is being removed. The accident killed 12 year old Brein Bullock who was in her mother's car passing under the bridge on Highway 36 at the same time the truck with its boom up collided with the bridge. An 18-wheeler with the boom up struck the overpass, causing concrete to fall onto the roadway below, killing a little girl. Now the bridge is coming down. TxDOT says Highway 36 will be closed starting today to remove the highway 90 bridge damaged in the collision last Thursday. Officials tell Eyewitness News it will take about three days to remove the bridge. They expect Highway 36 to reopen sometime Thursday if there are no significant delays. The demolition begins at 8 this morning. Police say an 18-wheeler crashed into a bridge in Sealy causing a bridge to collapse on a car.